Grant focuses his practice on government compliance, investigations and litigation. Prior to joining Husch Blackwell in 2017 after serving as a summer associate for the firm in 2016, Grant served as a judicial extern in the chambers of Judge Raymond Gruender of the United States Court of Appeals for the Eighth Circuit. Before that, Grant interned with the United States Attorney’s Office for the Southern District of Illinois. While there, he worked in the criminal division on various matters and contributed to a brief in an appeal before the United States Court of Appeals for the Seventh Circuit. He also previously interned with the Marion County, Illinois State’s Attorney’s Office. While in undergrad, Grant worked for a solo-practitioner who practiced in various areas including federal criminal defense. 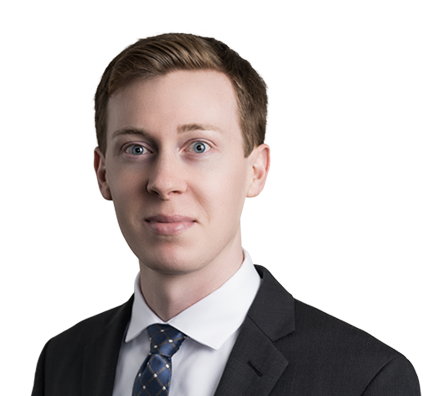 While with the firm, Grant completed a secondment at Monsanto’s Business Conduct Office where he worked on various compliance issues and internal investigations. In law school, Grant was a member of the Saint Louis University Law Journal. He first worked as a staff member and then as a member of the Editorial Board. He served as the Managing Editor of the Teaching Health Law issue where he worked with health law scholars from across the country. The Journal also published an article Grant wrote that centered on federal sentencing and collateral attacks.